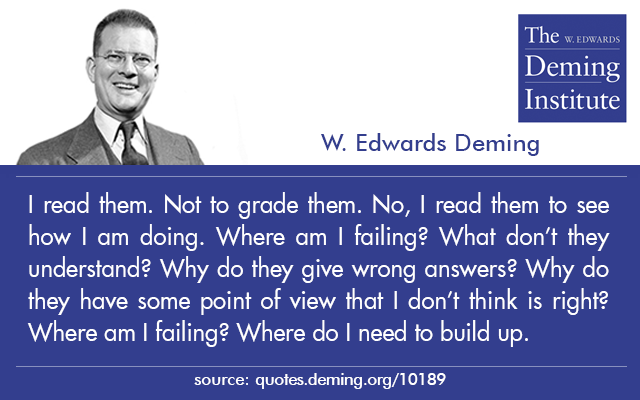 Dr. Deming on teaching and evaluating how he is reaching (or failing to reach) his students based on their paper. 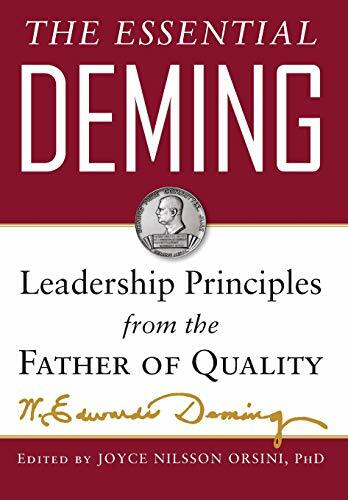 See more details from, Support Learning with an Understanding of Psychology and Systems Thinking. 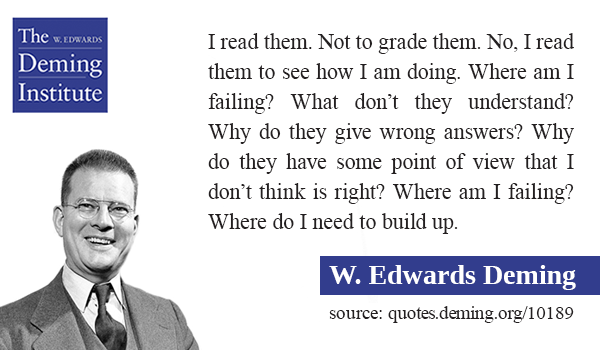 Quote from, What Ought a School of Business Teach?, included in The Essential Deming.